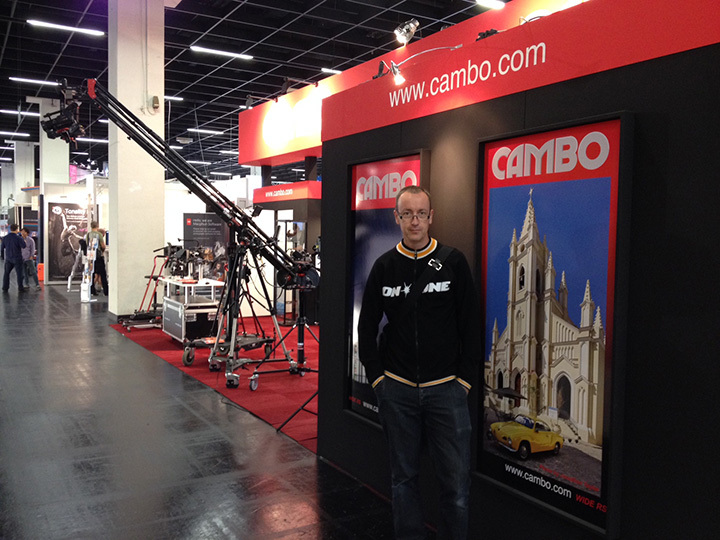 Photokina 2014 was a very good show for Cambo. We showed a few exciting new products and received many compliments about the Cambo ACTUS mini view camera. On the final day Jonathan Taylor came along to tell us about a number of projects he is involved in and to introduce his recently published book ‘Cuban Cars and Architecture’. The camera he uses is the Cambo Wide RS 5005 and a range of Rodenstock lenses. Jonathan is offering a FREE pdf copy of his book on Cuban Cars and Architecture that can be read on your tablet, Mac or PC. This entry was posted in Architecture, Automotive, Car, General and tagged Cambo, free book, jonathan taylor, Photokina, Rodenstock, Wide RS. Bookmark the permalink.